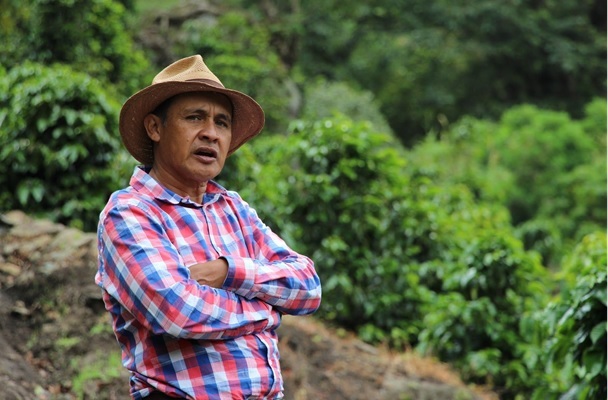 Lucas Melo represents the 3rd generation of coffee producers in his family. He’s been a passionate about producing coffees of excellence. Last year, his coffee was also part of the presidentials, being this an example of consistency and hard work to produce the best coffees. He believes that inheriting this passion to the next generation is crucial to continue with this legacy. His nephews Steven and Eiver are constantly learning from him and supporting in every task at the farm. Lucas explains that a constant technical support is crucial for improvement, he is lucky to count on the Galeras Volcano close to his farm to which gives credits of the great cup profile of his coffees. On the other hand, he explains that taking into account the weather and fermentation times is important to create a coffee of high quality. His goal is to produce a 95 points coffee while he is alive.